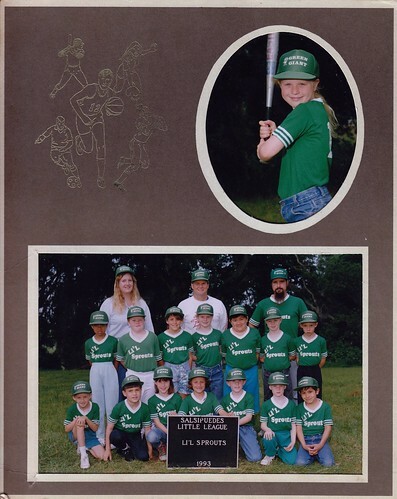 When you can wear jeans to little league, it's probably not that serious. 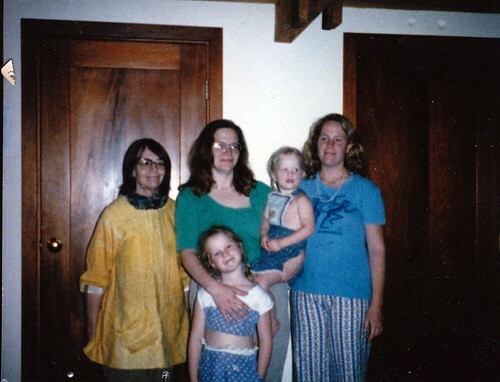 An exceptionally blurry picture of my grandmother, mom (holding me), Aunt Rebecca, sister in front. 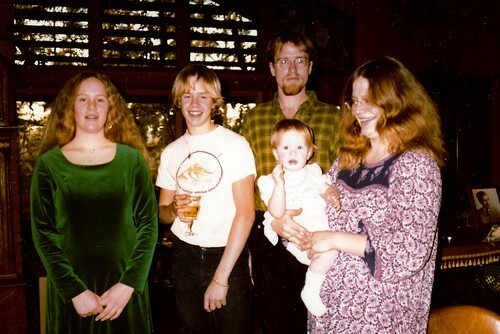 Rebecca, Uncle Ben, Uncle Brian, sister, mom. YES. My dad with his four (4!) older sisters. 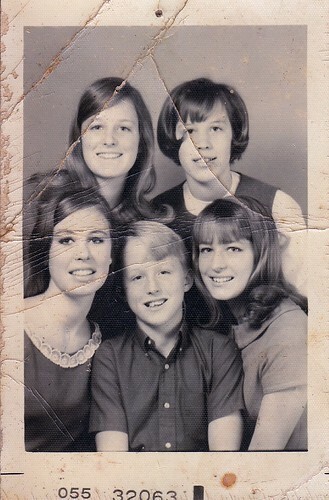 Clockwise from him: Randy, Sandra, Ellen, Cathy. 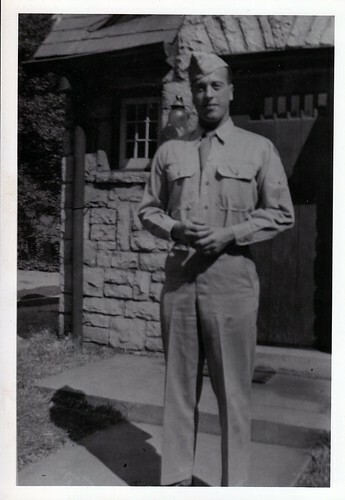 Have I ever told you that my dad's dad was a Freudian psychiatrist for the U.S. Military? 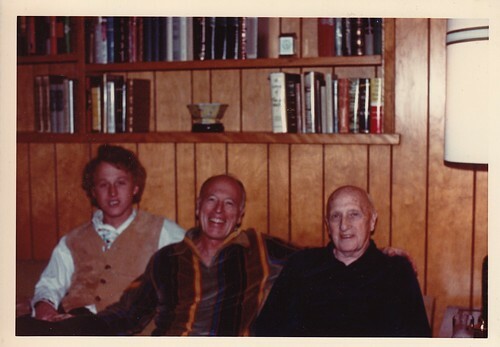 This is my dad, grandfather and great-grandfather. 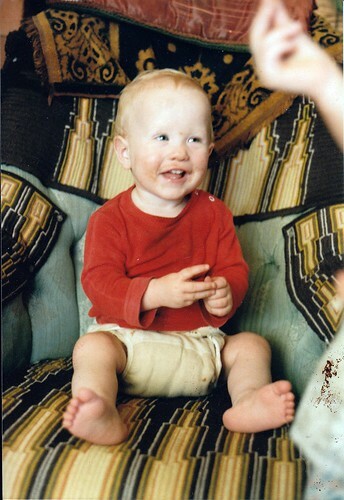 Including a random baby picture of me, just because. DIRTYFACE. So would you say you're dirtier now or when that photo was taken?